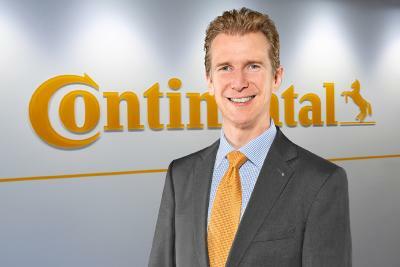 Continental, a leading international automotive supplier, today announced that the company would increase the number of its people in China by an additional 5,000 by the end of 2012, further to its announcement in 2011 that it would expand its staff by 25%. As part of a strategic plan to support its growth in China, the automotive supplier will hire employees across various areas including engineering, manufacturing and functional roles. In order to achieve this goal, Continental is in the process of extending its comprehensive recruiting programs, which include Campus Recruitment 2013, Continental University Competition, Continental Day in major cities, and sponsorship of Formula Student China. Elke Strathmann, member of the Executive Board of Continental AG, Human Resources, and director of Labor Relations, said, "Continental, which has more than 167,000 employees worldwide and16,000 employees in China, understands that strong and skilled employees are key to our success. This is why I am in China this week to meet with all our talent, managers and employees from our various locations. With a strong focus on China, we are not only developing our talent to support our business growth here, but also providing excellent career opportunities for our Chinese people worldwide." The number of Continental's employees in China has grown from less than 9,000 in 2009 to more than 16,000 today, an increase of 67%. Based on its philosophy that success is built with the help of strong people, over the years Continental has continuously nurtured and recruited talents by strengthening partnerships with Chinese universities such as Tsinghua University, Tongji University and Shanghai University of Science and Technology. Key initiatives include offering scholarship programs, joint R&D projects and Formula 1 sponsorship with automotive engineering departments from leading universities. In addition, in 2011 Continental brought its "Student Survey" project to China following its successful implementation in Germany and Romania from 2004 to 2010 to understand the career development preferences of potential employees in China. Since establishing its presence in China in 1994, Continental has emerged as an employer of choice among Chinese employees, winning a number of awards from recruitment and consultancy agencies. Some of its recent awards include "Top-100 Ideal Employer of Engineering and IT students in China 2011", "Top-15 Ideal Employer in High Ethical Standards 2011" by Universum, and "Top-100 HRM Companies of 2011" and "Most Popular Employer on Campus (Automobile Components Industry) 2011" by 51job. Grace Hu, head of Human Resources China, said, "Looking ahead, Continental will continue to invest in the most important factor of our success - our people - and treasure all the talent we have in the Continental family. We also incorporate our core company values - 'Trust', 'For One Another', 'Passion to Win', and 'Freedom to Act' into our functional training, personal and customized development programs, internal exchange programs, cross talent sharing and leadership behaviors. Our primary goal is that we develop strong, competent individuals into a winning team to deliver value for the company and fulfill the dreams of our people." With a clear business objective of over-proportional profitable growth, Continental has accelerated the pace of its investment in China, further establishing its foothold in the local market. It made a number of investments in 2011, including opening a new tire plant in Hefei, a new Interior Commercial Vehicle plant in Jinan, expansion of its Wuhu plant. In 2012, the automotive supplier also plans to open a two-wheeler tire plant, a second automotive electronics plant in Changchun, and a new ContiTech R&D center at its Changshu site, etc. These investments will further empower the company to realize localization of its entire value chain and meet the demands of the local market. Continental currently has 18 manufacturing locations, 10 R&D centers, and a team of over 16,000 employees in China, which will increase to around 20,000 by the end of 2012. 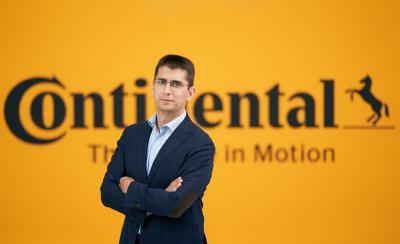 With sales of €30.5 billion in 2011, Continental is among the leading automotive suppliers worldwide. As a supplier of brake systems, systems and components for powertrains and chassis, instrumentation, infotainment solutions, vehicle electronics, tires and technical elastomers, Continental contributes to enhanced driving safety and global climate protection. 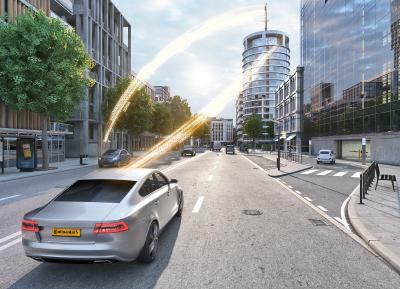 Continental is also an expert partner in networked automobile communication. Continental currently has approximately 167,000 employees in 46 countries. Continental hired around 5,500 graduates and young professionals worldwide in 2011. The international automotive supplier will be recruiting mainly chemists and mechanical and electrical engineers. In the Global Engineering Excellence Initiative, the company collaborates with eight universities of international renown, including the Massachusetts Institute of Technology, RWTH Aachen University and Tsinghua University. Via its more than 600 ambassadors, Continental reaches out to 250 universities all around the globe. Each year, another 600 or so young people start a work-study program leading to a traineeship or a bachelor degree at Continental. Throughout Germany, the international automotive supplier offers 18 work-study programs and 20 traineeships.